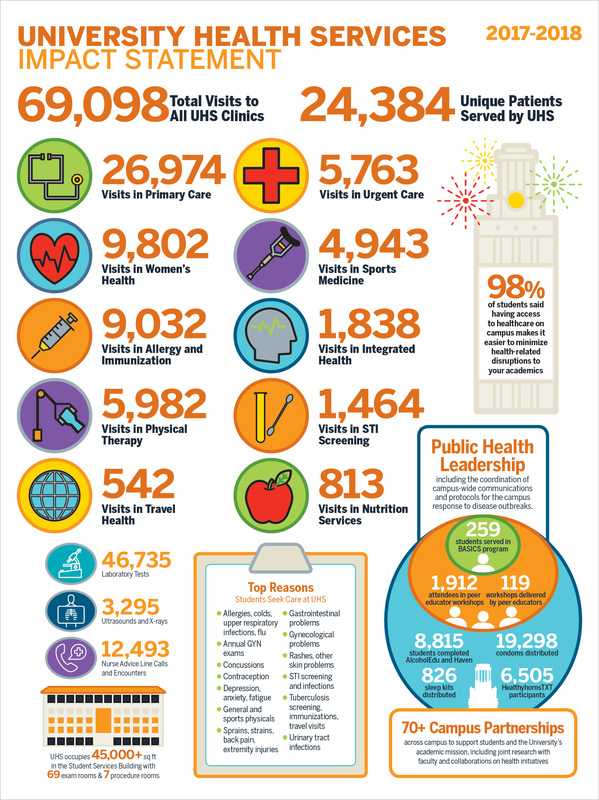 UHS provides medical care and patient education to students at The University of Texas at Austin. UHS provides healthcare and public health leadership to support students in reaching their optimal health so they can achieve their academic and personal potential. University Health Services enhances learning and student success with accessible and compassionate services and initiatives, and aspires to become distinguished as the best college health service in the nation. The campus community trusts and depends on University Health Services for high-quality medical care and innovative public health leadership that contributes to a healthy campus.